AMD has reportedly started rolling out new revisions of its Polaris 10 & Polaris 11 GPUs with a 50%+ improvement in performance per watt. Polaris 10 and Polaris 11 are AMD’s latest GPUs powering the company’s midrange RX 480 & RX 470 as well as mainstream RX 460 graphics cards. 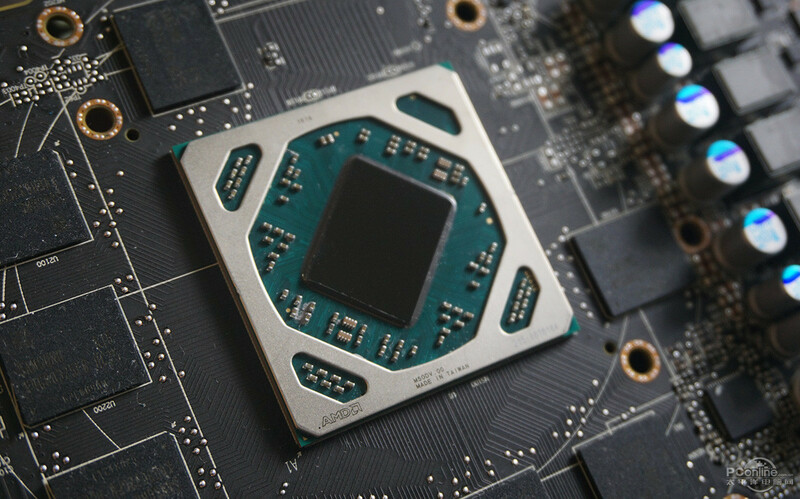 The new GPU revisions will reportedly debut first in the embedded market and will deliver the same and/or slightly better performance compared to the previous revisions but at significantly lower power consumption. This significant improvement in power efficiency has been attributed to an improvement to the 14nm metal mask layers of both Polaris GPUs by AMD in combination with a more refined binning process. The new revision of Polaris 10 that’s will go into the embedded market will bring down the typical board power from 150W as is found in the RX 480 to less than 95W. The updated revision of Polaris 11 will not only bring down the power from 75W to less than 50W but it will also improve clock speeds and bring up the compute throughput to 2.5 TFLOPS from 2.15. The new revisions will be available immediately to the embedded market under the E9550 and E9260 product names for Polaris 10 and 11 respectively. The updated revisions are believed to be coming to the mobile market in the form of mobility Radeon RX 400 series graphics cards in the coming months. 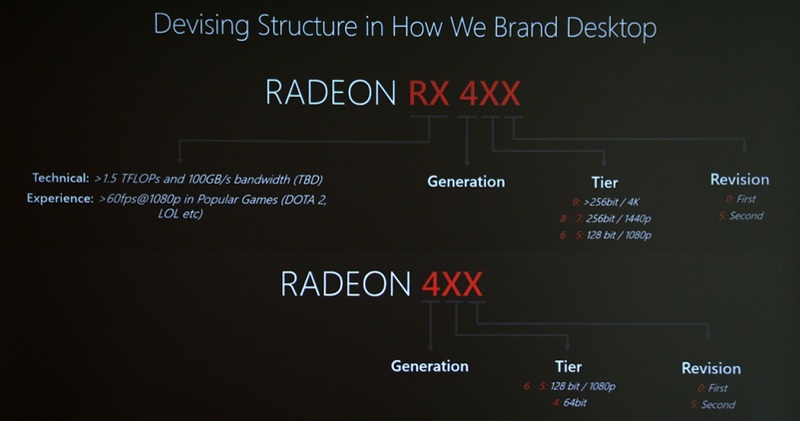 It’s not clear yet whether AMD will also introduce the new revision to the desktop market. However, in the mobile market where power efficiency rules supreme this could prove to be a pivotal change for the company’s competitiveness in notebooks. Some industry sources are speculating that AMD could introduce the new Polaris 10 and Polaris 11 revisions as part of the company’s graphics refresh next year. To be part of the new product stack alongside the brand new powerful enthusiast-class Vega 10 and Vega 11 GPUs in what we assume we’ll be called the RX 500 series. There’s evidence to believe that this is plausible. The Radeon Technologies Group had revealed earlier this year that the new naming scheme introduced with the RX 400 series had been designed with room for updated revisions in mind, e.g. RX 485, RX 475 and RX 465 graphics cards. However, as the desktop isn’t a power critical platform the company is more likely to choose to leverage the higher power efficiency to boost performance by raising clock speeds and maintaining similar TDP levels of current RX 400 series graphics cards. AMD’s new flagship graphics chip code named “Vega 10” is scheduled to debut at the end of the year. Another high-end “Vega 11” GPU is scheduled to launch next year to slot it in between Vega 10 and Polaris 10.